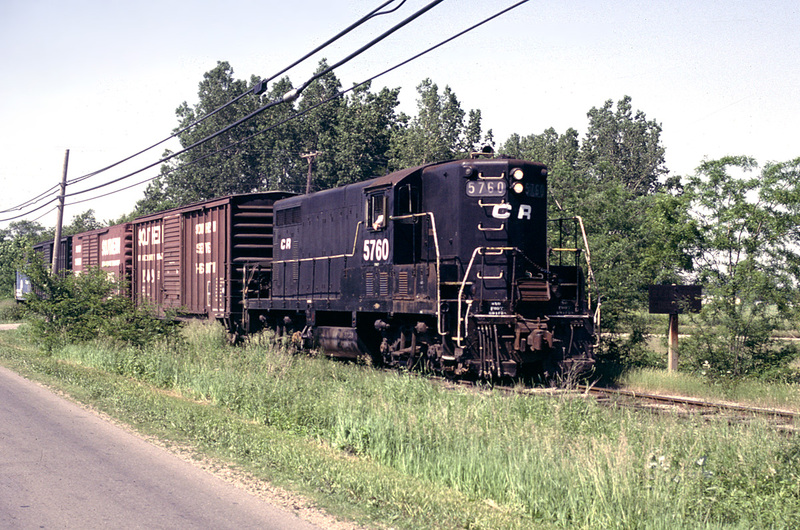 It appears to be a warm day on 13 June 1980, when photographer David J. Mrozek caught the Conrail “Clinton Local” just after leaving Tecumseh. At this time the “Local” would leave Clinton mid-afternoon each day, traveling through Tecumseh and down to Lenawee Junction. 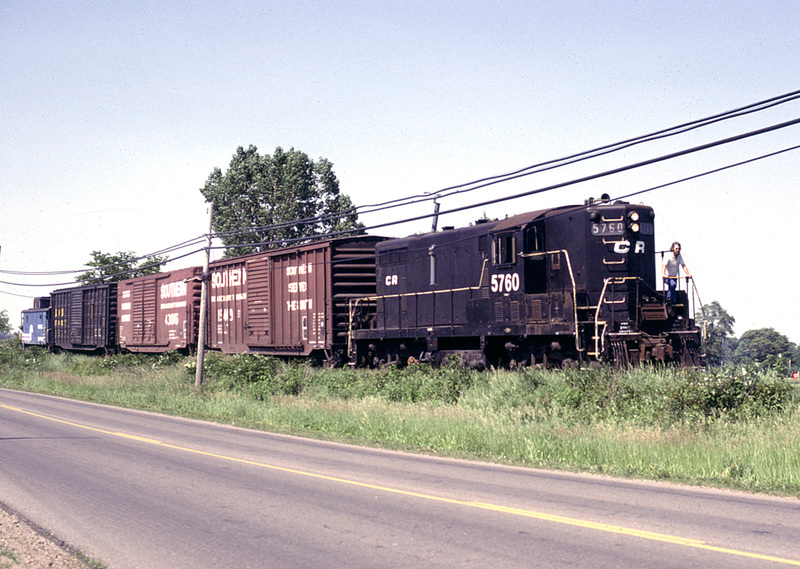 At Lenawee Jct., cars would be exchanged with another Conrail local from Toledo, before returning to Clinton. The train has just three boxcars and a caboose on this day. The boxcars would be loads of disc brake parts, coming from the Budd Company plant in Clinton. The train has just crossed Comfort Road in this view. The rusty sign to the right once read “Railroad Crossing One Mile”, a reference to the crossing diamond with the DT&M spur at Cummins Street. Locomotive #5760 has probably been here before; it was built for the New York Central Railroad in 1953 as their #5760. A little further south, the train is passing alongside the Raisin Valley Golf Club. The Club’s property adjoined the railroad, separated by a thin wire fence. The train’s brakeman is riding the front, likely looking for stray golf balls on the railroad right-of-way. The train would often stop or slow so that the crew members could pick up the balls! These photos were scanned from original slides by David J. Mrozek, in the author’s collection.